"This storm poses a serious threat to the well-being of people around the state, and we will use every tool at our disposal to keep our residents safe," Pritzker said in a statement. Illinois Gov. J.B. Pritzker has issued a disaster proclamation for the entire state as Chicago prepares to see the coldest day on record this week, mobilizing state resources to effectively respond to the hardest-hit areas. "This storm poses a serious threat to the well-being of people around the state, and we will use every tool at our disposal to keep our residents safe," Pritzker said in a statement. "This disaster proclamation ensures that the state of Illinois has the flexibility to effectively and efficiently respond to the needs of local governments during this extreme weather event." Schools, museums and even some stores across the Chicago area plan to close Wednesday and Thursday, and the National Weather Service has urged residents not to go out if they don't have to. 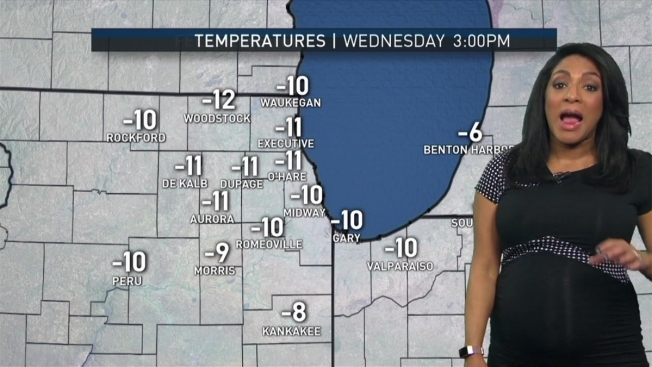 The high temperature forecast for Wednesday in Chicago is -15 degrees. That would mark the coldest high temperature the city has seen since Jan. 20, 1994, when temperature highs were at -11 degrees. Pritzker on Monday enacted an Emergency Preparedness Plan for the state, to be carried out by the State Emergency Operation Center and local emerngecy management officials. "We will continue working with local officials to make sure they get the help they need to keep their communities safe," he said. The Illinois Department of Public Health reminded residents that frostbite could set in on exposed skin within 10-15 minutes. A list of warming centers is available on the Ready Illinois website. "If there is not a warming center near you, call your county emergency management agency for additional assistance," Pritzker's office said. "Additionally, all Illinois Department of Human Services offices serve as warming centers during regular business hours for anyone looking to find a safe, warm place during the cold."